This sample receptionist resume can be adapted to suit your own needs. An effective resume is key to getting to the next stage of the hiring process. It is the first impression that a prospective employer gets of you and your suitability for the job opportunity. This template will help you to structure your resume in a way that best presents your skills, abilities, your strengths and competencies for the receptionist job. Seeking a position as a receptionist where I can meet the challenges of a demanding work environment. To obtain a position as a receptionist in a company that recognizes hard work as key to successful job performance. Seeking a position as a receptionist where my strong organizational skills will contribute to company success. To secure a position of receptionist that will fully utilize my current competencies. Solid computer skills and proven ability to plan and organize tasks and responsibilities efficiently. Recognized for accuracy, attention to detail and strong work ethic. Proven strong interpersonal and communication skills. Excelled in the role of frontline receptionist handling multiple functions including customer queries, administrative tasks and information monitoring. Enjoyed meeting the challenges of a high stress work environment and successfully maintained an efficient and effective reception service. Over two years experience running a busy reception area and successfully interacting with a diverse and demanding group of people. An excellent track record of efficiency and effectiveness in managing communications and customer relationships. An independent worker with proven computer competency, strong communication skills and an ability to organize and plan successfully. Accustomed to a fast paced work environment and dealing with a variety of tasks and responsibilities in an efficient and accurate way. Winning receptionist resume objective samples. 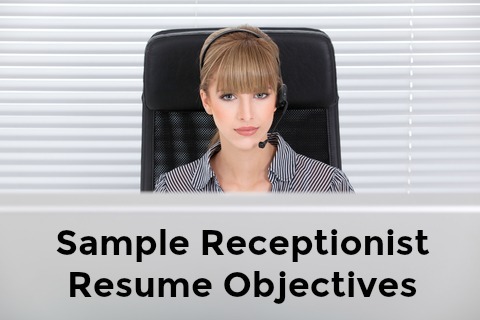 Receptionist duties lists the complete set of receptionist skills and responsibilities. 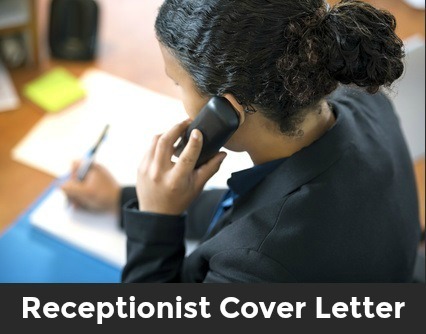 Put together a winning cover letter using the sample receptionist cover letter and get that job interview. 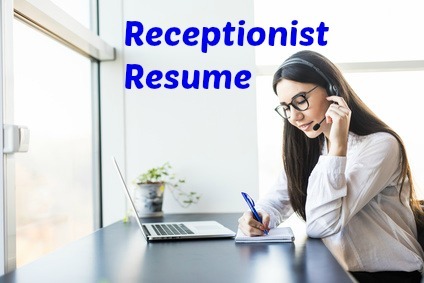 Employers have identified these top receptionist skills. Be sure to highlight them in your resume. Find out more about top receptionist skills.